Braun Real Estate & Personal Property Auction — Harritt Group, Inc.
Also selling Riding Mower, Power Tools, Furniture, Appliances & Household Contents. Selling live onsite a 1960’s mid-century brick home plus adjoining building lot perfect for investment or additional garage located just off Utica Pike across from Admirals Anchor Marina just 4 miles from downtown Jeffersonville. Also selling riding mower, power tools, furniture, appliances & household contents. 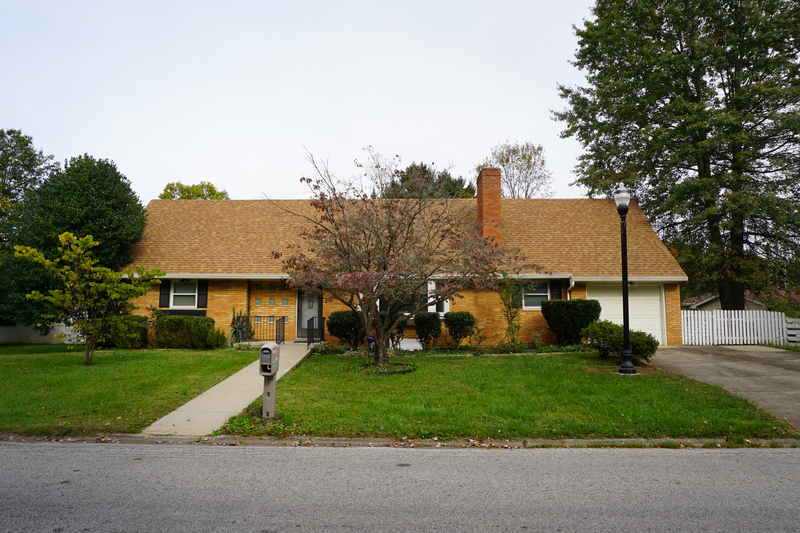 Circa 1965 brick 4 bedroom – 2 bath 1 1/2 story home, enclosed porch, full basement, attached garage plus shed with 2nd. level playhouse on 145’x96’ corner lot with additional adjacent lot available. Home features fireplace with insert, eat-in equipped kitchen, 2 bedrooms on first floor plus 2 bedrooms and 22×14 bonus room up, hardwood floors, replacement windows, waterproofed basement, electric heat and central air. Located on corner of Catalpa & Bittersweet Drive in established neighborhood. 77’x142 building lot adjacent to home with wood fence and 8’x12’ shed. Home & lot sold individually and then in combination using the multi-par method to determine sales price. Troy-Bilt Bronco 18hp riding mower, Ariens RT7020 rear tine tiller, lawn cart, Dewalt table saw, Craftsman band & scroll saws, Ryobi drill press, compressor, ladders, pick boards, grinder, hand, yard & power tools, workbench and more. GE washer & dryer, deep freeze, antique oak table, china cabinet, maple bedroom suite, (2) hospital beds, cots, recliners, swivel rocker, lamp tables, foosball table, retro Atari video game system, several LPs including Queen, Black Sabbath and more, kitchenware, collectibles, common household items, sled and bird bath. I-65 to I-265 East to Jeffersonville IN-62 East Exit. Take Port Road to right on Utica Pike. 1/2 Mile to right on Catalpa Drive to auction on right.